MasterPieces: THE KEEPER OF TRAKEN | Warped Factor - Words in the Key of Geek. Dr. Moo seeks the power of the source. After the Doctor and Adric return to N-Space an old man in a chair immediately confronts them and tells them about the world of Traken. He is the Keeper, and as long as he has the role he has control of the source and all is peaceful, but he is approaching the end of his life and wants the Doctor to come and help prevent the source falling into evil hands as the role of Keeper transitions. Ordinarily he wouldn’t bother with this, it seems, but recently the world of Traken has been infiltrated by a mysterious entity known as The Melkur. 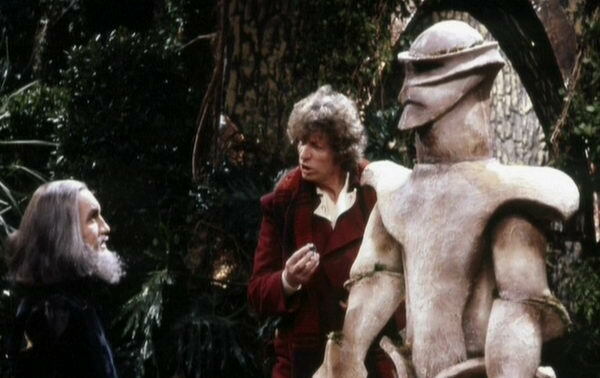 The Keeper believes that this Melkur is evil, and because a woman named Kassia has fallen for it, somehow, and her husband Tremas (try rearranging those letters) is in line to be the next Keeper, the current one seeks out help from the Doctor. That’s your premise. Sounds dull, right? Luckily The Keeper Of Traken is anything but! The planet Traken (and by extension we can assume the same is true of the entire Traken Union) is filled with people all being terribly nice to one another. It's a shame then that after establishing this as the case in fairly short time it all starts to go wrong. 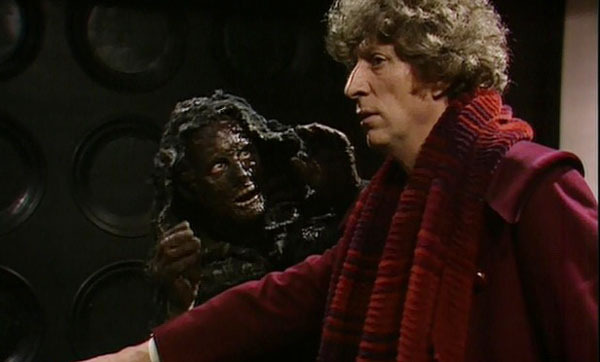 The Doctor and Adric are accused of being the evil that the Keeper is shouting about, but Tremas vouches for them. He and daughter Nyssa go with the Doctor and Adric to investigate, but Kassia, now under the Melkur’s control, has them arrested on suspicion of murder and assumes the role of Keeper herself… only for the Melkur to suddenly replace her at the last moment. Before long all hell breaks loose and the Doctor sends Adric and Nyssa to deactivate the source while he himself goes in closer to the Melkur… only to discover it’s actually a TARDIS in disguise, one occupied by none other than the Master! Now played by Geoffrey Beevers (despite still being the incarnation played by Peter Pratt back in The Deadly Assassin), the Master is at his best here. He’s shown to be biding his time, slowly playing the long game as events take place naturally, only intervening with as few people as possible until everything is set up. He’s a proper chessmaster, if you’ll pardon the pun. But it’s not just the character’s arc in this story that’s standout; also of note is the performance by Beevers. It is an almost entirely vocal performance and his voice is chilling. I’m talking shivers down the spine. Every word is dripping with palpable menace and terror. It should come as no surprise that he’s Big Finish’s go-to-guy for when they want to do a Master story! Yet, when Beevers appears the impact is, if I’m being honest with you, slightly lacking. The costume department have reduced the goriness of the Pratt portrayal and much of the visual impact this Master had is now lost. It's made up for in other areas, including the shock value offered by the reveal that the Melkur was a TARDIS all along, and the final scene where Tremas is possessed and taken over by the Master which is especially upsetting. Outside of Beevers performance, all of the rest of the main cast are great too. Sarah Sutton makes her debut as Nyssa, ahead of taking on the companion role in the following story Logopolis, and while her increased involvement in events does seem to come out of nowhere as the plot develops it still just about works because Sutton is very good. Anthony Ainley as Tremas is superb too, although in a more subtle way than his many equally underrated outings as the Master in later stories. Even the much-maligned Matthew Waterhouse gives a reasonable turn as Adric for the first and last time. But as ever it’s Tom Baker who steals the show. 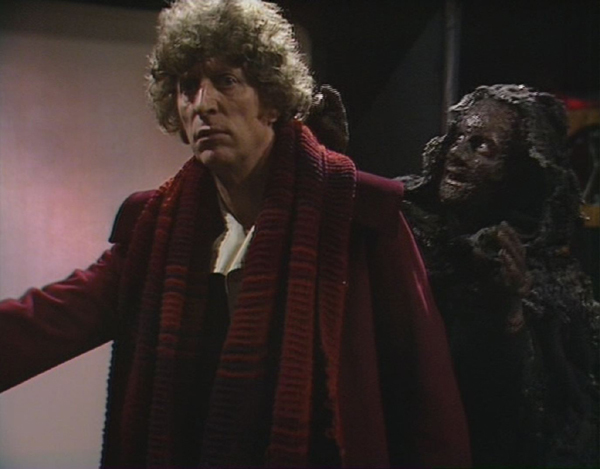 In his next and final story Logopolis he’s much more subdued as the 4th Doctor prepares to meet with death (but that moment has been prepared for) making this the last time that the eccentric side to the probably definitive Doctor is ever seen. Thankfully Tom proves that he’s still got it even seven years in (in spite of not wanting to be there anymore and having outstayed his welcome by about a year). He simply commands the screen in every single scene he gets, he doesn’t even need to say a word. Just stand there and look imposing Tom, that’s it, do that. What’s most impressive, though, about The Keeper Of Traken, even more than its cast or the presentation of the Master, is how beautifully it sets the stage for incoming star Peter Davison. That era of the show has the Master, it has Nyssa & Adric, and it has a lot of times where the Doctor finds himself helpless to do much because of the events surrounding him. This story establishes all these things. The way it works Nyssa into the narrative but ends with her still on Traken allows for her unique means of entering the TARDIS full-time in the next story and her friendship with Adric, a major part of the remainder of his time on the show. It is first established here as the two prove a valuable partnership that will benefit the Doctor numerous times. And then there’s the final twist ending. It looks like everything has been sorted out and so the Doctor and Adric set off. But then we see one final scene, we see Tremas investigating a mysterious grandfather clock and as soon as he touches it he’s frozen. He calls out to Nyssa for help but she doesn’t come. 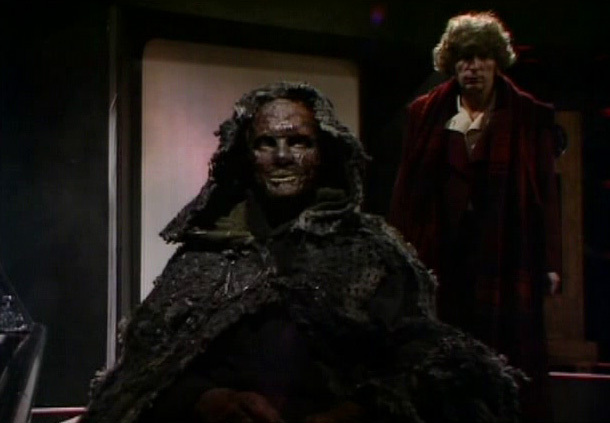 Then the Master emerges from inside the clock – his TARDIS – and possesses Tremas, killing him. Tremas is gone and the Master has won! The Keeper Of Traken is a great story for its presentation of the Master, for the way it subtly sets up the show’s future, and for one hell of a twist ending. It has a reputation for being dull, since a lot of time is spent standing around and chatting, but when you actually focus on what’s being said and what it all means it ceases to be dull. It becomes a political thriller, it becomes a battle between good and evil where evil is beaten but not defeated, and it becomes an exciting Doctor Who adventure. Watch The Keeper Of Traken again today and prepare to be blown away by its hidden brilliance.